Lounge in comfort in this cosy set. 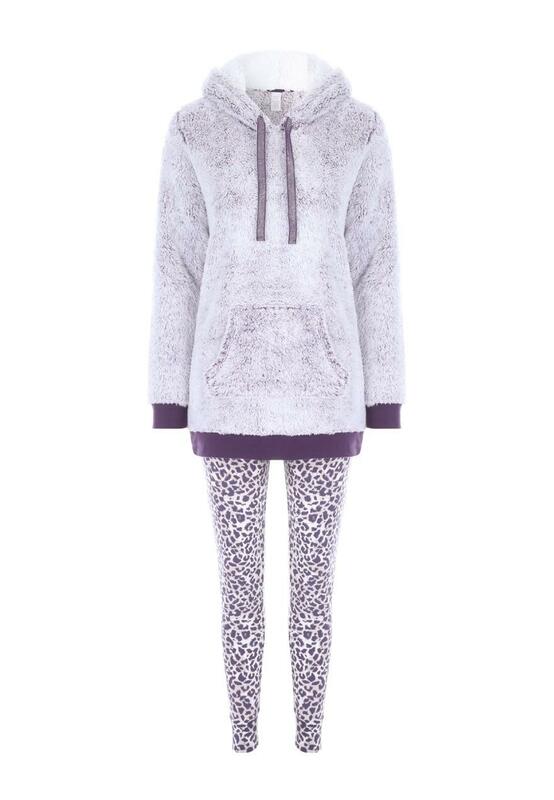 Containing a purple fleece long line hoody top with a front pocket and matching animal print leggings, it'll make a snug addition to your collection. Top fits easily and is so warm I cannot wear it in the present warm weather. Leggings warm under trousers. Liked the quality and colour of this item. Great value.